Recently some unfortunate events happened which made me think about the safety of my files. So what happened? Well, because I’m using both my laptop as my home PC the documents needed to be on both. And they needed to be consistend and safe, of course. So I created a rather complex solution where a local USB disk made a backup of my laptop and a NAS at home that synced the laptop and desktop. This resulted in a situation where I had 4 locations with the same files… Oops. There had to be a better way, something less complex. After hearing all the buzz about “the cloud” I figured this might be a solution, why not putting my data “in the cloud”? After some research (and experimenting) I ended up with Dropbox. If you want to use VBA (Visual Basic for Applications) or use Macro’s in Excel 2010 you need to access the Developer view. 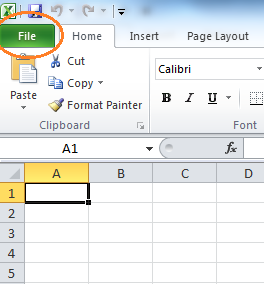 In Excel 2007 this was a checkbox setting in the general options, but this has changed with Excel 2010. Don’t you just hate all this unsolicited e-mails which fill up your mailbox? Me too, it really annoys me the way they seem to find the way to my mailbox although I’m really careful with spreading my address. What? You’re having the same problems? Ah, well let me explain to you why you’re getting all this spam, and why I’m getting it as well. SQL : Invoke or BeginInvoke cannot be called on a control until the window handle has been created..
Last weekend I was in Paris, the city of love. And Paris has a lot to offer. Besides the cultural highlights like the Eiffel Tower, Louvre, Notre Dame and Pont Neuef the city has lots of great streets and gardens (like the Jardin Luxemburg). During my stay I used my iPhone daily. Usually a reason to argue about but this time I had a good reason: “The Métro Paris Subway” app.